Dust-collection systems hold the potential to enhance safety, increase efficiency and reduce costs wherever and whenever they are used to their full capacity. They are designed to have a positive effect on your bottom line and work environment. Production, manufacturing, and industrial facilities must comply with standards set by the Environmental Protection Agency (EPA), the U.S. Occupational Safety and Health Administration (OSHA) and the National Fire Protection Association (NFPA). Nearly all of the agencies ultimately derive their authority over air standards from the federal Clean Air Act and worker health-safety rules. Dust-control government regulations and compliance with them make up most of the answer to the oft-asked question: “Why do I need a dust-collection system?” In most cases, dust-collection systems are used to comply with emission standards, enhance worker safety and comfort, protect against fire and explosion and save money. Dust can react with things around it and can either catch fire or explode. It also has the power to interrupt or reduce production, draw fines, trigger penalties, affect worker health and generally induce headaches. Industries with dust control systems are often responsible for maintaining the appropriate particulate concentrations inside and outside the plant. This involves not only good air filtration and dust-collection systems, but also an analysis of the operations throughout the line or plant. Weak points may exist in any part of the evacuation system that can lead to added costs from inefficiencies and non-compliance. Do I Need a Dust-Collection System? A trusted, professional partner can help you understand dust collection as it relates to your industry to determine whether you need a dust-collection system. You might be starting from scratch, or you might need someone to inspect and evaluate your system, answer questions and complete work such as upgrades or repairs. When you need professional repair or system maintenance services, turn to Tuckey Metal Fabricators, Inc. We offer more than 50 years of experience and the expertise to help you establish, upgrade, replace or evaluate many kinds of dust-collection systems. Identify major dust-emission points and conditions at each one. Express the desired system performance. Draw a layout diagram of equipment. 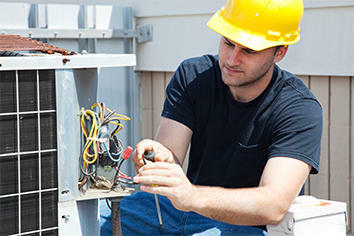 Locate available utilities such as electrical and gas. Plan for special conditions such as freeze protection or extreme temperatures. Know your dust intimately (if you don’t already). Many people are tempted to ‘blow off’ dust and not worry about it. Savvy plant owners and managers, however, know that a little bit of dust can create big problems. They realize or learn how dust-collection systems reduce pollution and make for safer work conditions. OSHA dust-control guidelines impose a limit on indoor air quality for non-specific or nuisance dust. However, the limit on any kind of toxic dust, such as silica or asbestos, can oftentimes be even stricter than the allowable threshold for nuisance dust. OSHA defines dust as tiny, solid particles in the air that are created by a “disintegration or fracture process” such as grinding, crushing or impact. Different processes produce different-sized particles, some of which will land on a surface and stay while others may remain suspended in the air indefinitely. Ambient air quality generally refers to outdoor conditions. Indoor air quality examines what is going on inside a building. You will want to know the KSt factor of the dust your facility produces since that relates directly to its explosive characteristics and gives you important knowledge. Sometimes what seems like an innocent layer of dust, for example ,a 1/32-inch thick layer of it, on a few tables or a coating on the rafters becomes a fire or explosion hazard. Under most industrial conditions, you will have to comply with dust-control guidelines. Even if you don’t, however, a dust-collection system can still enhance safety, air quality, worker comfort, accident prevention, and efficiency. Ideally, a dust-collection system keeps the air safe in some type of industrial environment. A dust-collection system works by using vacuum pressure to deliver contaminated air via an airtight system to and through the proper filtration. The system may also expel the air inside or outside, all at the proper emission levels. While this super-simple definition gives an overall picture of what dust-collection systems do, their purpose applies to many different industries where they might be required by law and/or used for additional quality or safety. Regardless of the reason for installation, however, a dust-collection system requires close inspection and quality maintenance to achieve and maintain a state of airtight transfer and efficient filtering. When escape points cannot be eliminated from the existing system, you can add an ancillary dust-collection system to increase efficiency. Generally, there are high- or low-velocity dust-collection systems. The materials are transferred to a collection point that might be one of several shapes and usually includes some type of filter. A lot about the configuration and capacity of your dust-collection system depends on your industry and plant, the kind of materials you handle and your desired safety and performance levels. Some people want to achieve basic compliance, while others want to exceed OSHA and EPA standards. The filter media on various dust-collection systems differ from plant to plant depending on the types of dust your materials produce. The filter, or the series of them, might be wet or dry and in the form of or within cartridges, bags, booths, cyclones, and other designs. Synthetic, non-woven cellulose is the most common type of filter and is a good choice for dry dust. Polyester-silicon blend filters with a synthetic surface provide efficient performance to 1 mg and less. Plus, they offer better dust-release for cleaning. Spun-bond filters are normally used for hot, moist or sticky dust, and the filter cartridges need to be cleaned regularly. HEPA filters are typically used with hazardous types of dust and will achieve nearly zero emissions. Cloth filters may also be used in some applications. Exhaust hoods to catch dust at its source. Ducts to transport the dust to a collection point. Collectors to remove the dust from the air. Fans and motors to generate exhaust power. A safety monitoring system is mandatory with any type of toxic dust and should be used with recirculated-air systems. The actual monitoring can be large scale, such as a system to watch multiple dust-collection operations and components, or smaller systems comprising a few backup filters. The ultimate objective is to prevent contamination, but the next most-important thing is to be immediately alerted if any problems arise. The two choices for explosion and fire protection are an active or passive system, and both have many associated options. For example, an active system might have the ability to automatically detect sparks or fire and release a fire-suppression chemical throughout the collection system. An example of a passive system for fire protection within the dust-collection system might be installation or augmentation of an explosion vent. It directs any pressure or flames away from areas where there are workers and other combustibles. Dust-collection systems include a variety of accouterments for the collection point(s) such as isolation devices, chemical-block methods and precise valves. Since the collectors contain multiple parts, there is usually room for improvement, augmentation and upgrade to achieve better safety and efficiency. Your research might lead you to potential improvements that will save money and make a better plant. One example might be a conveying-system conversion from open to pneumatic in order to reduce dust generation and collection points. A central-vacuum system benefits any plant because it is able to draw in particulates that otherwise might be swept or blown, actually pushing more matter into the air. If you have a large plant, a permanent system sized to your needs would make sense. There are also portable systems to accommodate many levels of need, but those decisions depend a lot on the business, its situation and its long-term plans. Ductwork – Is it old, cracked, leaking or of insufficient capacity? Do the elbows and connection points carry the air efficiently? Collector inlet – Does this important component have the power and filtration needed for your system? Does it ever back up, or does it seem to need extra maintenance? Capture hoods – Are they oversized or undersized? Are they shaped correctly for the type of materials you capture? Could a different configuration benefit your system? Do you have the correct number of hoods to carry the maximum load you produce? Filter – Does it need to be a different type to capture a finer particulate? Do you need a bigger one, smaller one or a series of filters? Upgrades to filter systems are introduced annually and can sometimes provide a new boost for your dust-collection system. Mechanicals – Could your dust-collection system benefit from a mechanical overhaul, in which you check the essential parts such as the timers in a filtration system, bags and filters, diaphragms, solenoids and others? Basically, by asking these questions, you’re trying to determine if your dust-collection system is working properly. Under the pressure of ever-changing regulations, some plants and industries have opted to cease discharging air outside the plant, and instead discharging it inside the plant downstream from the collection and filtration points. Generally speaking, when you discharge contaminated air outdoors, you must satisfy EPA requirements for the air including permits and collector testing. When you recirculate and discharge contaminated air indoors, OSHA is the responsible government agency. However, it is still prudent for your company engineer to check with the relevant agencies to get the most accurate information possible about your process. How to accomplish safety from fire and explosions. How to meet OSHA requirements. How to recirculate for best efficiency and worker comfort. You stand to save money using recirculated air because bringing it back through the plant eliminates the need to heat, cool or otherwise condition it. For example, in a plant where a 10,000-cfm dust collector is used and outside temperatures are around 10 degrees F, it is possible to save $1,600 each winter month. Your plant would be heated to 70 degrees F.
Your energy fuel is natural gas at a cost of about 60 cents per ccf. Operations run on a five-day workweek with eight-hour days. The engineers at Tuckey Metal Fabricators can work with your team of plant engineers and safety experts to design, implement, and maintain a system that efficiently collects and processes dust as well as other atmospheric pollutants. We can also repair or upgrade existing systems with newer, high-efficiency components that save you money on heating, cooling and other overhead costs. Whether it’s upgrading a dust-collection system, duct cleaning or a furnace repair, contact us today for the help you need.